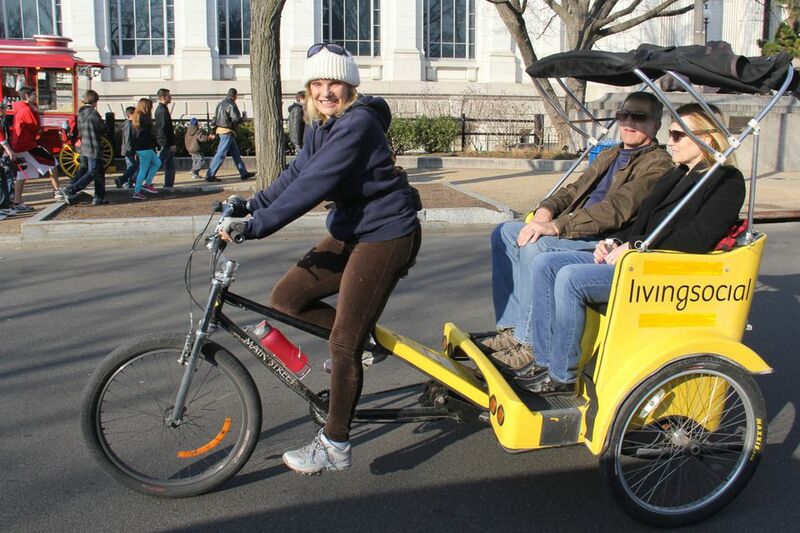 Pedicabs are environmentally-friendly and offer a fun way to get around Washington DC. The pedal-powered taxi service is a bicycle rickshaw operated by a licensed driver who will take you wherever you want to go in the downtown area. Washington’s most popular attractions are spread out around the city and getting from one place to another can be exhausting. You can take a pedicab and enjoy a relaxing ride to the world-famous museums and landmarks around the National Mall, travel to the city’s most popular neighborhoods and enjoy dining, shopping, and sightseeing. Pedicabs are growing in popularity and can be reserved in advance for personalized tours and events such as weddings, birthdays, or corporate events. Pedicab operators are licensed by the National Park Service to give transportation and tours of the National Mall. There are 11 official pedicab stands. The sidewalk on the west side of the Lincoln Memorial is designated as a pedicab route for north-south traffic. The pedicab is believed to have been invented in 1871 by a Baptist missionary, Johnathon Goble, in Yokohama, Japan. They were a popular form of transportation within Asian cities in the 19th century. Their popularity declined as cars, trains, and other forms of transportation became widely available. Today, they are becoming popular in major cities across the world as a form of entertainment-based transportation.